Watch full One Piece Season 15 Episode 36 English Dubbed full HD online. One Piece Episode 552 English Dubbed online for free in HD. 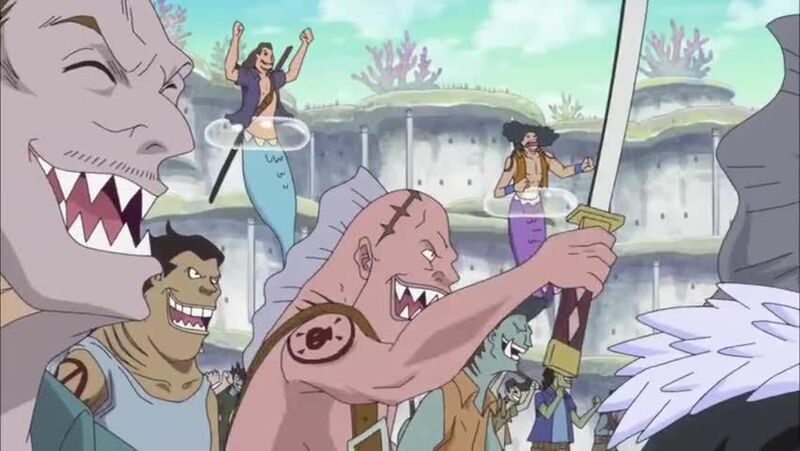 On their way to defeat Hordy, Jimbei, Shirahoshi and Megalo are captured by Hordy’s forces. They are taken to Conchcorde Plaza just as the pirates tie up Neptune and the princes. When Shirley reveals to Hordy that Luffy will destroy Fishman Island, the fishman blasts her with a water bullet. He then reveals that he is responsible for assassinating Otohime and also framed a human pirate for it by having him burn the queen’s signatures and kill the pirate. The citizens are filled with horror at hearing the realization. When Hordy mocks Shirahoshi, the princess reveals that she knows the truth. Meanwhile, in a desperate attempt to kill Shirahoshi, Vander Decken sets the Noah on a collision course with Fishman Island, in an effort to destroy everything on it.